Our 6 Wheel Drive 6x6 Jeep is know around the world for its unique custom qualities, built to specification for a 6 x 6 Jeep enthusiast. 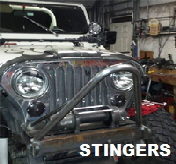 If you have seen our 6x6 Jeep online, you may have seen it in FourWheeler.com's write up. Click here to see it! 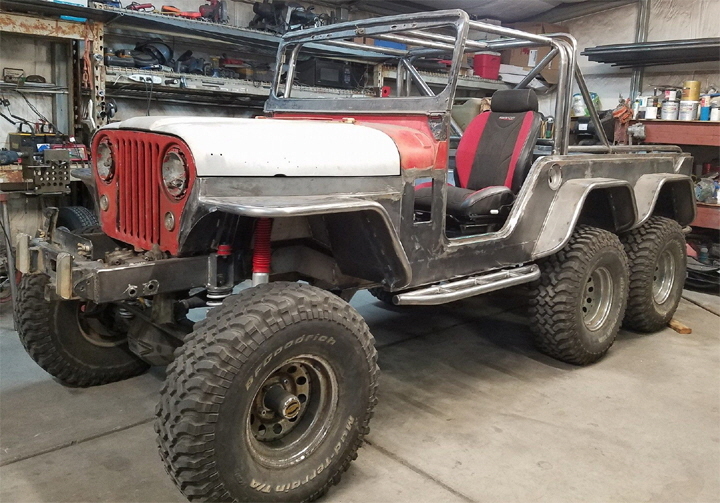 This 6x6 Jeep is unlike anything else in the neighborhood or off road trail. Incredible 6 wheel drive traction, heavy load carrying capacity, and unmatched traction! 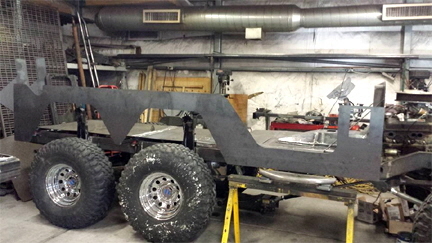 You won't need an off road trailer with this 6x6 Jeep. 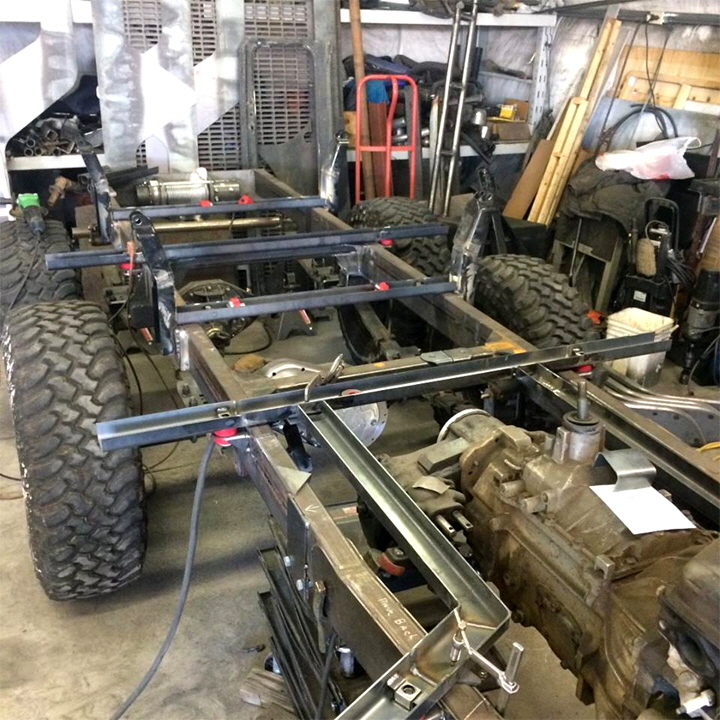 From FourWheeler.com: "Dave (Gonzo) Peterson is building a truly one-off vehicle that happens to be registered as a 57 Willys CJ-6. A GM 350ci V-8 crate engine is powering the six-wheeled machine and is backed by a NV4500 transmission. 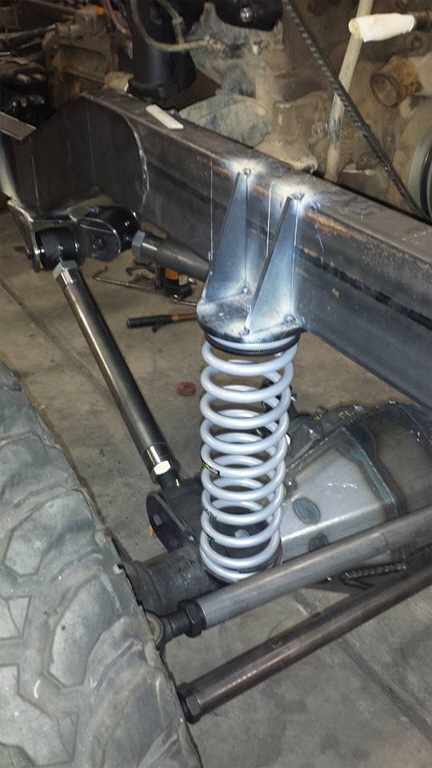 A highly modified Spicer 18 transfer case is in charge of splitting the power between the axles. Speaking of axles, there are a total of three. The two 9-inch Currie Enterprises differentials and one True Hi9 third member all have ARB Air Lockers. 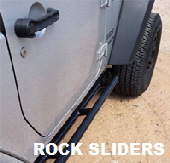 Up front, you'll find a custom four-link suspension, while YJ leaf springs set atop the rear axles handle the lift out back. Currently, the rig sits on 35x12.50 BFG Mud-Terrain tires mounted on 15-inch Cragar wheels. 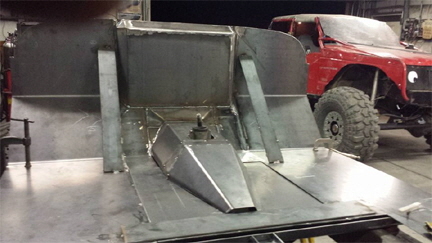 While the vehicle is still under progress, Peterson hopes to have it out and on the trail soon. In fact, he wants to try some serious long-range traveling and off-road expeditions once it's complete. Hopefully, we'll get a chance to see it when it's all wrapped up." 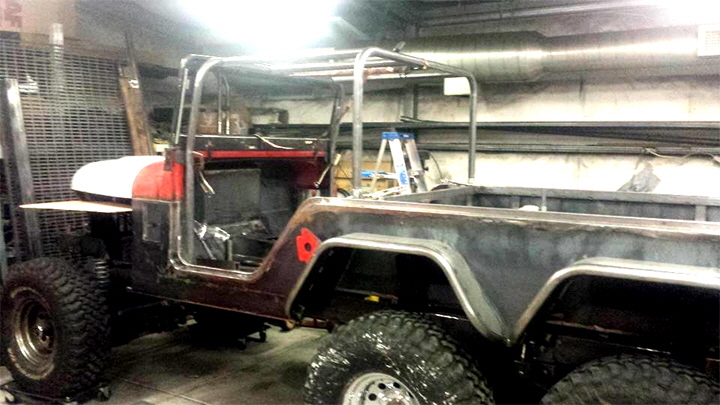 This amazing 6x6 Jeep is 100% built up, custom, by Robert Wonsey at R&W Custom Sliders and Off Road fabricators.